Yesterday I posted about Chris Hogan’s walk-through of generalizing data in PostGIS to make it usable in a web app. Basically he went through the process of finding out what is the sweet spot of quality vs speed. But there are other ways to accomplish this. Mapbox happened to post about a new library called geojson-vt.
Mapbox GL JS and GeoJSON-VT from Mapbox on Vimeo. @tmcw OK, I updated it to reflect that. Still this comes down to using tools that make your mapping products better. 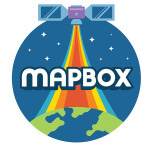 Maybe Mapbox does that cheaper and quicker than you could on your own. This kind of on-the-fly simplification is what we’ve all been asking for and Mapbox is really pushing the envelope. This could be what gets people to start using their platform.